We drove and drove and drove a little more yep we just kept on driving like the wind. We left the day before at 10 pm at night 1 hour latter than we wanted. This 1 hour costed us 4 hours in the end. So when travelling with a baby and a dog you stop a lot to get them out of the car sets to let them stretch or pee/poop. The goal was to leave at 9 which is when they both go to sleep for the night. This way we could drive and drive and get to TX location around 1 TX time or 12 our time. The idea behind this was it would mean 2 feedings while on the road and it would be during their sleepy time they both like to sleep in the morning. There is a line a magical line the most magical line you can ever imagine it happens after the noon feeding. That line is the I'm awake and want to move around line. Guess what we did we crossed that magical line and the baby went off like a grenade. She would cry and cry and there was nothing we could do. (Is this sleep training?) So we would drive until we could not take it any more stop and move around for about an 1hr and then get back to the road. It was like magic we would put her in her car seat all quite and cute and then start to move and BOOOOOOOM!!! Insert crying baby here. WE MADE IT WOOHOO WOOT yeah we made it. We got to my wife's grandparents house baby and dog are happy to not be in the car. 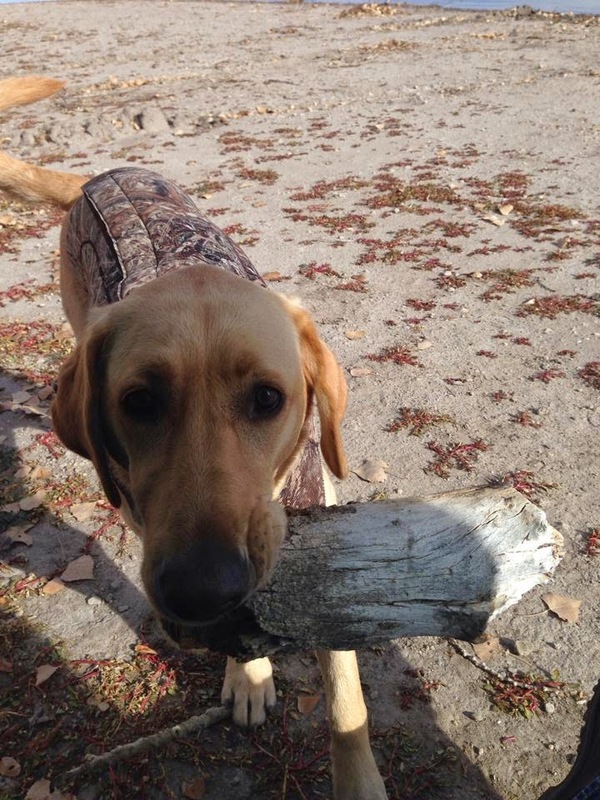 Lilly duck hunting. Found a log to chew. And well my dog would be like NOPE and pin her down so cute. This just makes me want a puppy so badly. It was funny because well it is a puppy so lots of energy and my wife kept asking so do you still want a puppy and I was like YES I WANT A PUPPY!!! But we can't get one till we get Lilly's back hip(s) fixed. So I'm 28 and a father and a dog owner. Who needs to get his hunting dog fixed before the next hunting season starts. till next time have a good day.